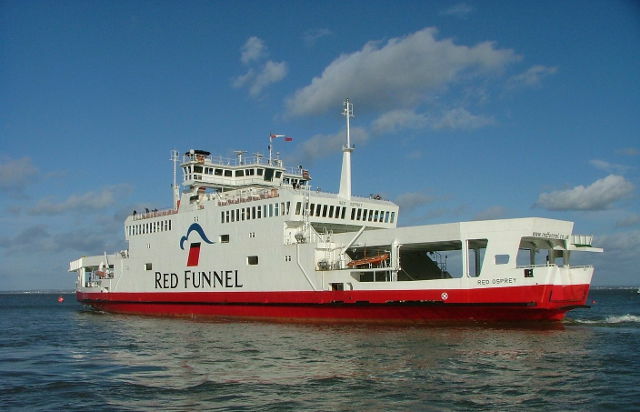 A consortium of pension funds who purchased 100% equity stake in Red Funnel earlier this year, reportedly paid ‘well over the expected price tag’. That figure has now been revealed. The Sunday Times, not content with one Isle of Wight-related story (cue the couple who want to sue a primary school because it allows pupils to practice gender fluidity), had two articles connected to the Island last weekend. The other article related to the sale of equity in Red Funnel to a consortium of UK and Canadian pension funds. Nothing new there, OnTheWight reported on it in June, but what has now been revealed is the price paid for the equity. According to the Sunday Times article, the consortium – which includes the West Midland Pension Fund who invest on behalf of 302,000 council workers and retirees across cities such as Birmingham and Wolverhampton – paid £70m above the “expected price tag”. Quite why they paid above the odds isn’t clear, but industry experts were said to be surprised by the move given that although Red Funnel is a “solid business” – in 2015 making £17.6m of profit on £48.4m of turnover – the pension funds reportedly paid £320m, 16 times the projected earnings. “Valuations could not be higher. You hope they’ve not missed the party and started piling in at the top of the market just as rates rise. If there’s any reason to be nervous, it’s that the smart money is starting to exit. Thanks to everyone who sent us this story.